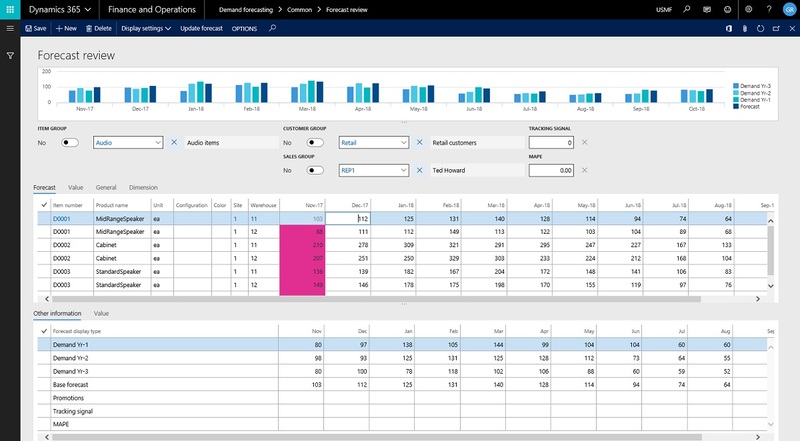 Demand Forecasting for Microsoft Dynamics D365/AX from Farsight Solutions is a fully integrated Dynamics D365/AX module that calculates forecasts of future demand (demand planning) for items based on sales order or invoice demand, and optionally production and projects demand, providing a powerful tool that enables companies to intelligently plan ahead. Demand Forecasting enables companies to generate sales forecasts using advanced industry-standard forecasting algorithms without the need to interface to non-Dynamics products. The inclusion of the Forecast Pro forecasting engine from Business Forecast Systems, Inc., Belmont, Massachusetts, provides customers with the power of an industry-leading forecasting solution and the ease of use of the Dynamics D365/AX product.